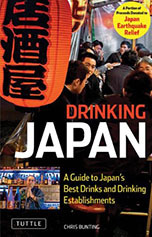 Post by Nonjatta contributor Stefan of Tokyo Whisky Hub. A couple of days ago, I had some time to kill in Shinjuku so I headed to the Kabukicho branch of Shinanoya. 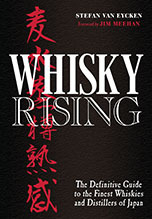 There, quietly sitting among bottles of Japanese whisky, I spotted an interesting Suntory release I hadn't been aware of. It's not a whisky but an umeshu (a plum liqueur, very popular in the summer here in Japan) but what makes it interesting is that it was matured in toasted oak casks that previously held Yamazaki whisky. Some of you may remember that in 2008, Suntory released a Yamazaki whisky finished in umeshu casks (Yamazaki Plum Liqueur Finish, limited to 3,000 bottles exclusive to the bar trade). I managed to pick up a couple of bottles at the time and was very impressed with it: it was like an edgier version of the Yamazaki 12yo... the tartness of the umeshu piercing through, especially with water. I never understood why Suntory hasn't released more of it since then, especially since this was a uniquely Japanese whisky in a way. Apparently, however, someone at Suntory had the brilliant idea to do an inverse experiment and put umeshu in ex-whisky casks. The umeshu itself was made at the Yamazaki distillery, using 100% Japanese plums, without any added colourings or additives of any kind. It is very inexpensive (what a relief!) - you can find it for a little over a 1,000 yen (about 14 USD)--and it comes in a lovely black 660ml bottle (14% abv). I tried it neat, with water, and with ice and I must say, it is impossible to detect any whisky elements. That being said, the taste profile is distinctly different when compared with other (standard) umeshus: it's much less syrupy and sweet, and much drier. I've never been a big fan of umeshu (I always felt it to be like swallowing a sweet shop, coating your mouth for hours afterwards with that sticky sweetness), but this is something else altogether. This is what Japanese advertisers would call "otona no umeshu" (adults` umeshu). I can easily see this becoming a staple of the hot summer to come at my place!